Once upon a time, Prestone Press was a 3,000 square foot litho shop in New York City. We specialized in commercial print and folding carton applications. At the close of 2012, our vision was to continue to grow our digital and wide format departments. 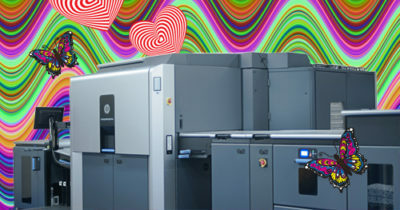 Now, with 50% of our business in lithography, we’re a true graphics hybrid printer. In fact, Printing Impressions magazine just ranked Prestone Press the number one largest lithographer in New York City and the sixth largest printer in the New York metropolitan area. Such high levels of excellence would be impossible without inspiration from our truly stellar clients and partnerships. We listen to the needs of our clients. We heard our luxury brand markets in New York City when they said they needed short runs on their packaging. To meet our client’s needs, and exceed their expectations, we seek out state of the art equipment like our new Hewlett Packard digital Indigo. Did we already tell you we’re in love? And, It’s the first of its kind in New York City! 9×12 folders with glued inside pockets commonly used for pharmaceutical products are now available in indigo. Larger folders with glued inside pockets hold inserts and posters up to 20 x 28. Visually stunning books and brochures boast lots of pages, big ones too, and remain cost effective even in small batches. Printing is fast. The new Indigo 10,000 can print 8 8/12 x11 pages at a time! Trifold brochures are now available in the common 11” x 25” flat. Our new Indigo is big and so are our feelings about it. Prestone Press can now deliver all of the above products to you beautifully and economically. And, dear friends, when we get to create, innovate, and save time and money in one great piece of equipment…it’s a love story, all –around. Now do you understand why we’re mesmerized by Indigo’s charms?